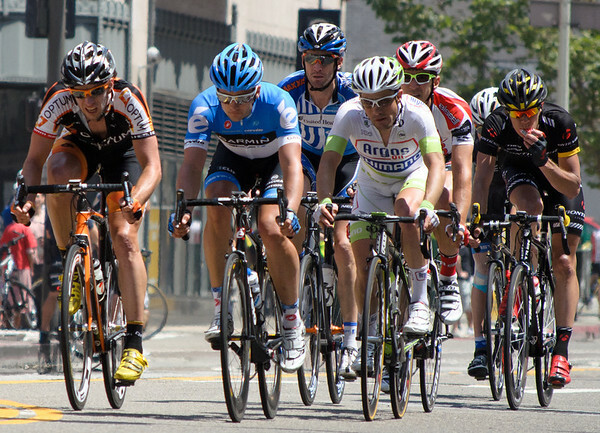 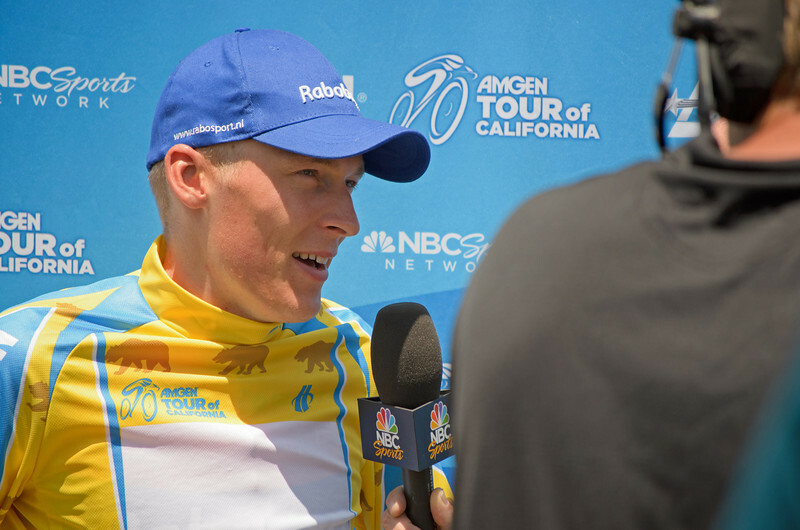 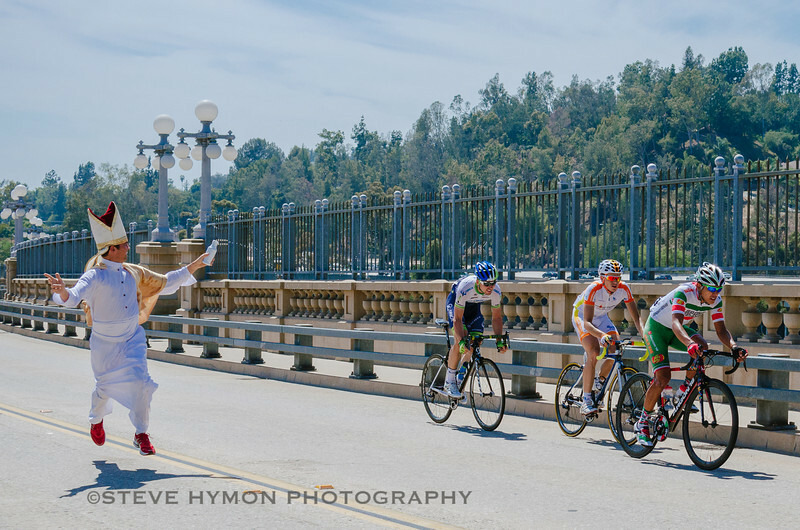 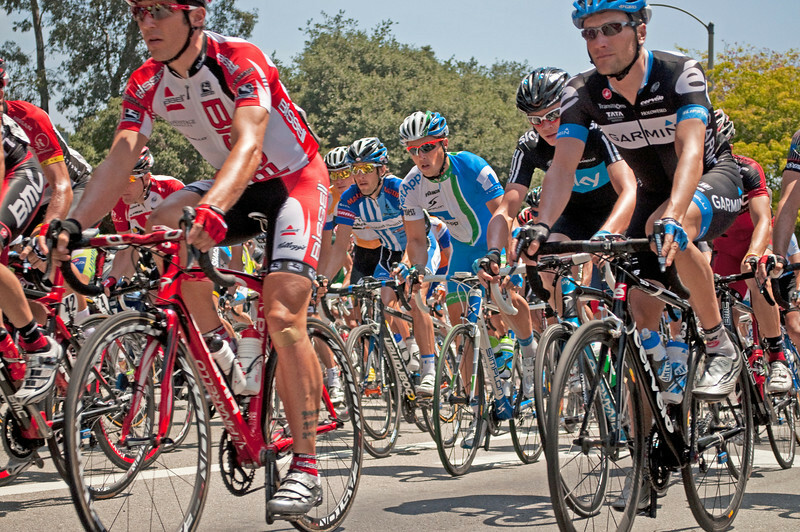 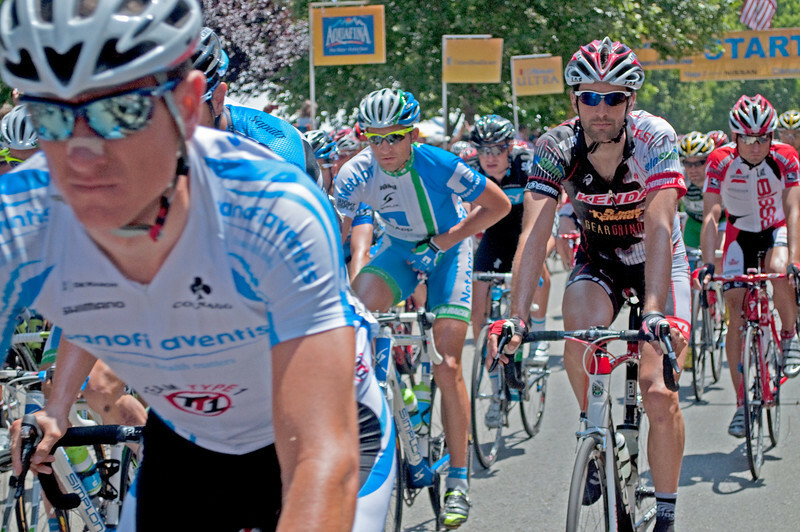 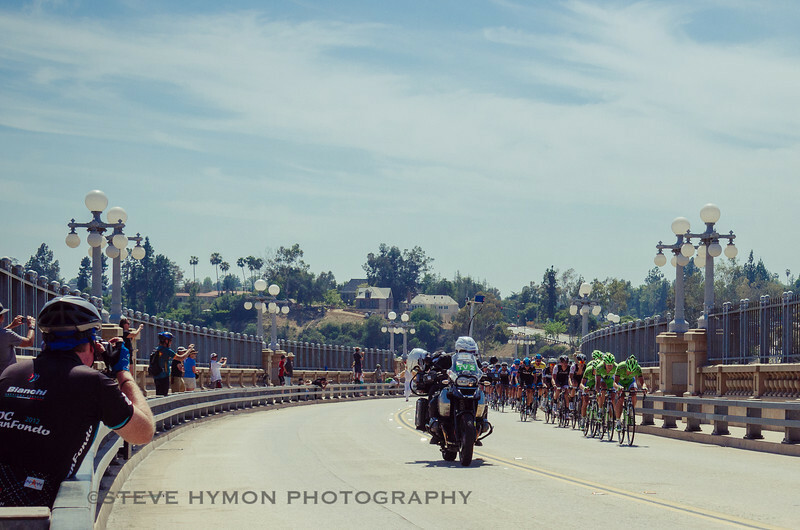 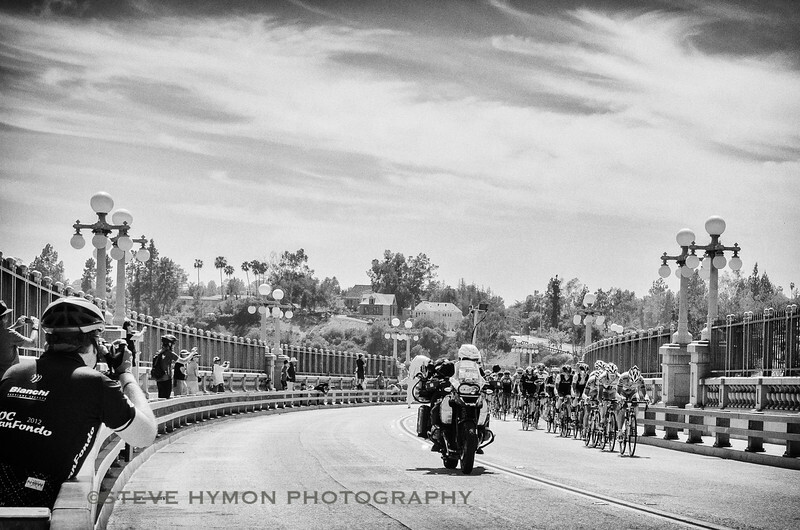 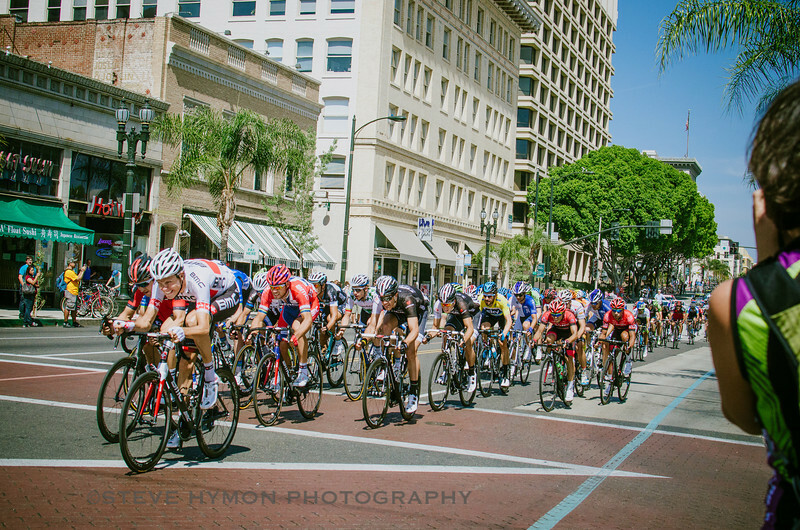 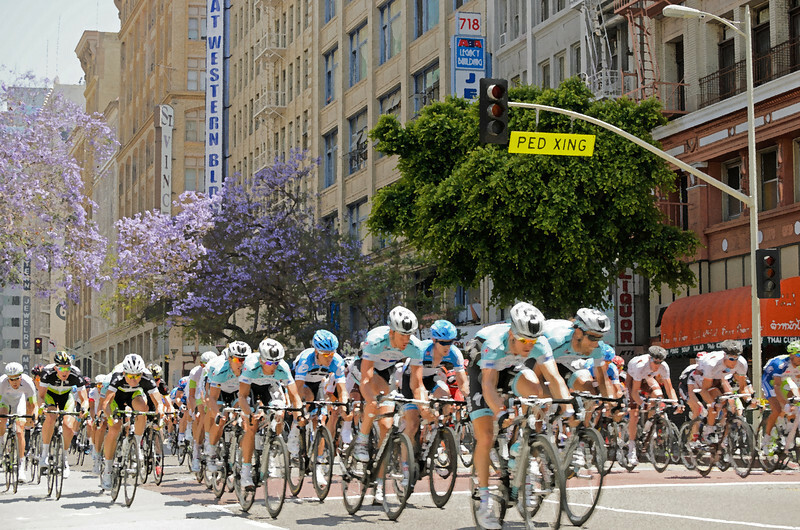 The Tour of California's 8th stage took cyclists on several laps around downtown Los Angeles. 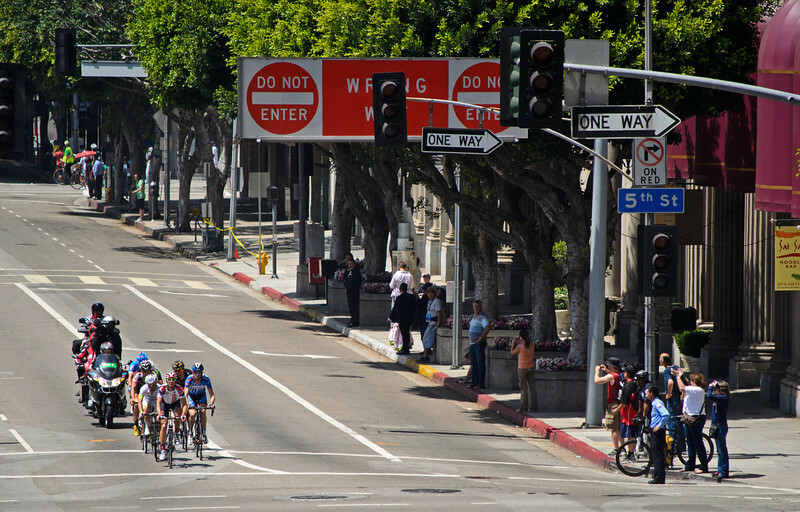 The above photo was taken on Hill Street between 7th and 8th. 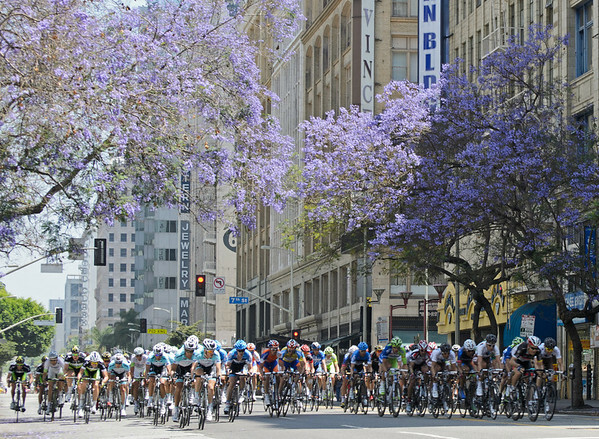 I was lucky to find a place where there were actually jacaranda trees in bloom. 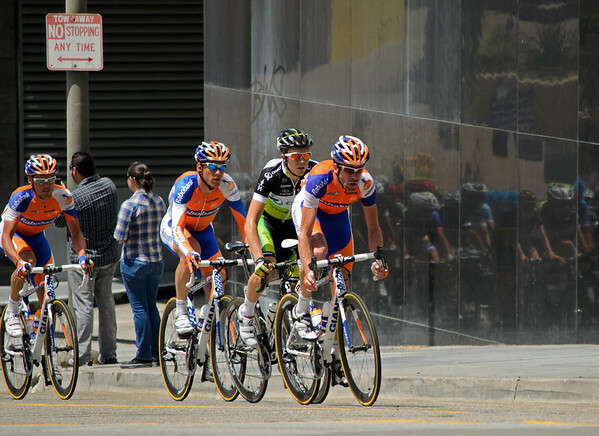 The shot isn't as crisp as I would have liked, owing (I think) to some sand in my 200 mm lens. 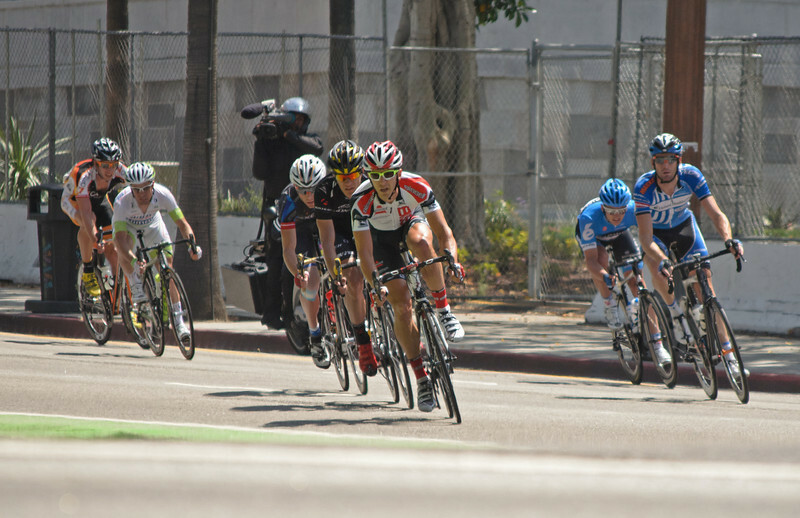 Rrrrrrgh!